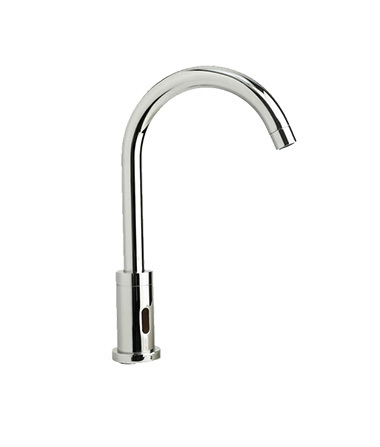 Faucet with Battery or AC operated Infrared Control. Operating Valve and Sensor Built into Faucet Body. The infrared sensor is available with our “Anti-legionella” program for an automatic purge 6 or 12 hours after the last use to prevent bacterial growth. The touch-less operation reduces water splatter and addresses the user’s increasing awareness about communicable diseases. The electronic activated, motor-driven valve provides reliable performance since there are few moving parts and it functions withstand most common chemicals and minerals present in water.